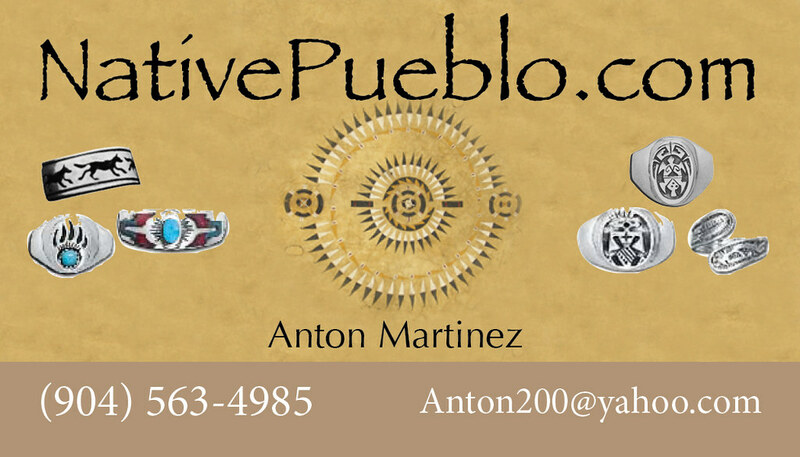 Native Pueblo, owned by the Martinez Family, consists of artists from various parts of the Southwest. Our family is scattered throughout Arizona and New Mexico and extends South to the border of Mexico. We are third generation arts and crafts vendors and we are very proud to carry on our humble family traditions. Our goal is to keep our traditions alive by providing the best quality pieces to our customers. Our continuous participation In Native American festivals allow us to do just that. Every year we travel across the United States to attend the biggest Powwows in the Nation and every year our customers return to the same place, at the same time to see us. It’s a great energy that keeps us going!. In most festivals we also get to share our music, our history and sometimes our dances. Sharing our culture is part of our commitment as Native American Vendors.